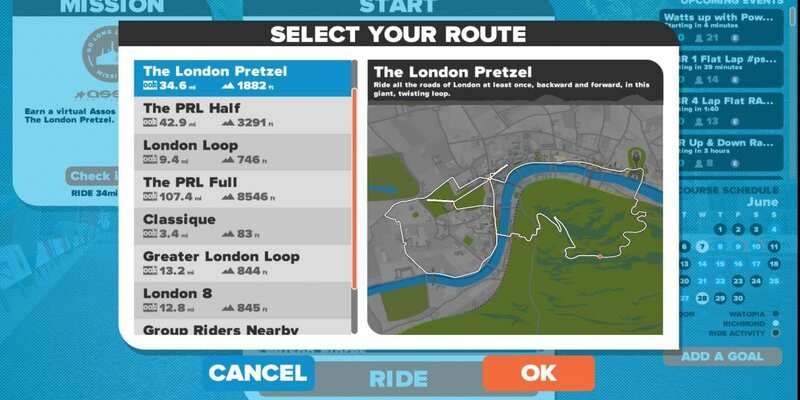 At the time of its release, the “London Pretzel” route was the only route covering all London roads. In fact, it covered them all in both directions. 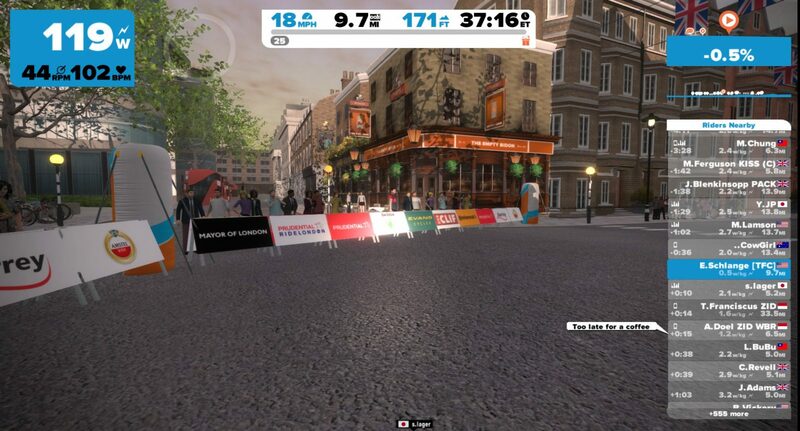 The route leaves off newer additions to the London course, but it’s still a fun one if you’re looking for a longer ride with a mix of flat efforts broken up by two decent climb sections. Thanks. Going to do this route + mission today. While not as hard as a PRL half or a Watopia Pretzel, it is slightly harder than the raw stats indicate because the two climbs are in the last half of the route.